Magnets! As the title picture suggests, I magnetized the two mêlée weapons for the Dreadknight, which is pretty much the last piece I needed to put together before I start priming the sub assemblies. 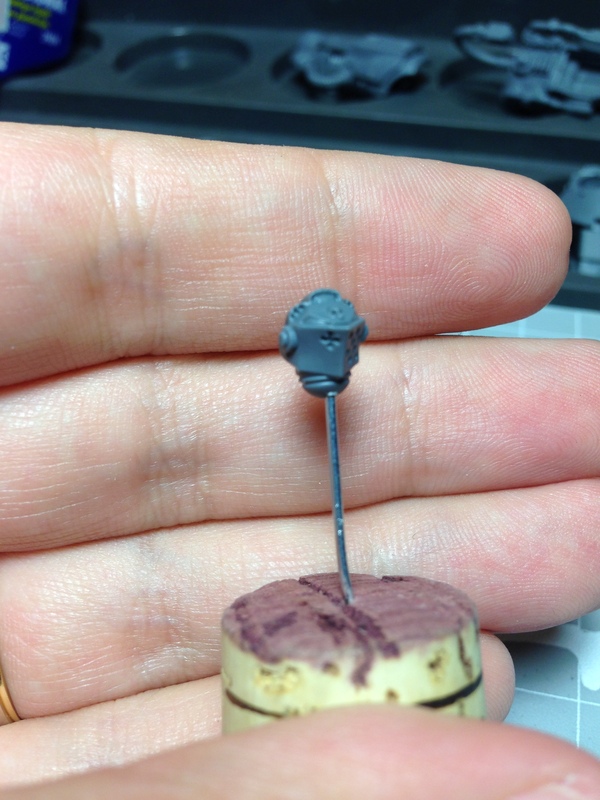 It is fairly easy to find magnets of the correct size if you know the measurements, and NeoHobi is the correct place for people like me that dabble in this part of the hobby. Checking the hands of the Dreadknight I saw that the magnet had to have a diameter of 5mm or less, so I went with a set of 5×2 mm magnets. One thing that’s weird is that you cannot buy them by piece, you need to buy a minimum of 100 for each type you pick. So I picked another set of 2mm diameter 4mm length magnets and was good to go. Just remove the appropriate piece by how thick the magnet is and you’re set. Hopefully I’ll cover them after priming and basecoating. Yeah, that will need some green stuffing to solidify the magnet’s place. One thing is for certain: Even though the magnets are tiny, they have a VERY strong field that allows them to be stuck together rather easily. Be careful when bringing the pieces together, if the glue hasn’t settled thoroughly, you might pull away the magnet inside the arm. Another tip I can think off the top of my head is to watch out for the poles. As a rule of thumb, always glue one side of the magnet pile on a piece, then glue the exact opposite end to the other part. That way you’ll have the correct poles to attract the pieces. Mounting tiny pieces on cork is easy if you have wires superglued to the piece. And lastly, here’s a shot from my latest order. 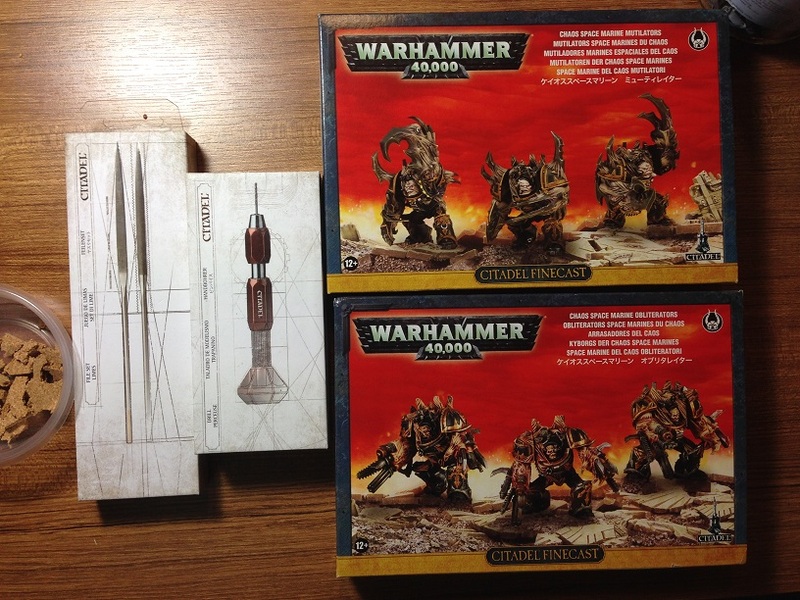 Along with the tools I got two finecast models to go with it. The finecast stuff is web order only and the local GW dealer we have cannot bring them, so my uncle living in Scotland was kind enough to put the loot in his luggage and bring them to me! I can’t wait to finish my ongoing projects and tackle this very first finecast piece. These will of course get their own post, but from the first look I have to say that resin is pretty much the way to go for incredible details. See you folks on the next post! Looks good! Magnets are a bit tricky. Especially because you can get them of varying depths (as well as radius). One thing to keep in mind if you are new to magnets. These rare earth magnets are so strong, they don’t necessarily need a magnet to magnet connection. 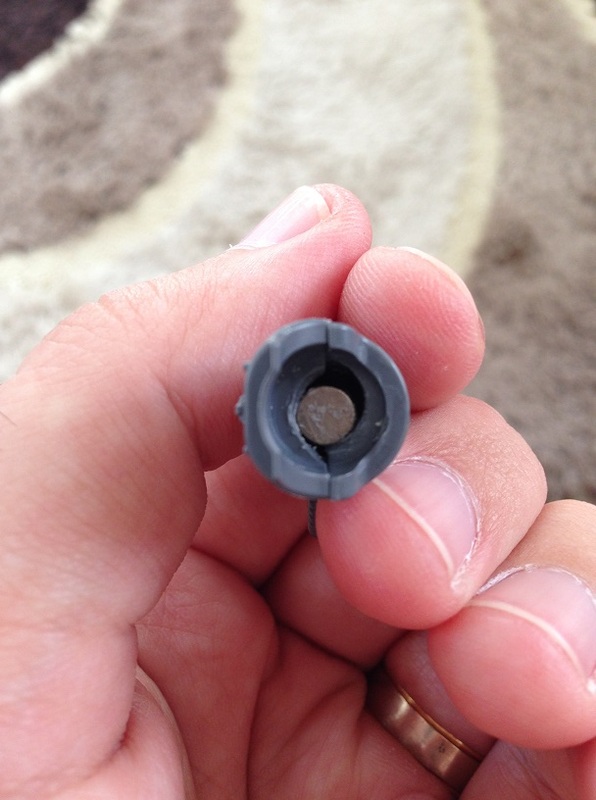 If you encounter a situation where you don’t want an exposed magnet, they are sometimes strong enough to provide clamping force through the plastic. An example of this would be a stormraven’s doors. You can place a large magnet on the inside of the door, and another magnet inside the hurricane bolters, and the force is strong enough to keep the bolters in place when you want to use that configuration (without removing the door, or messing up pretty forgeworld doors.